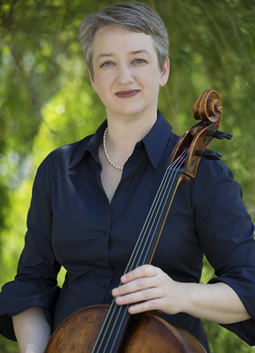 Cellist Katie Schlaikjer joined her third professional string quartet, the Ontario-based Penderecki String Quartet and the faculty of Wilfrid Laurier University in 2013. During her tenure with Colorado String Quartet (2009-2013) she performed cycles of the complete Beethoven and Bartok Quartets. As a former member of the Avalon Quartet (1996-1999) she received top prizes from the Concert Artist Guild (NY), the 1999 Melbourne International Chamber Music Competition, and the 1998 Banff International String Quartet Competition. Her recent solo engagements have included a premiere of J Mark Scearce’s cello concerto “Aracana” and Haydn’s D major cello concerto with the Wuhan Symphony Orchestra in China. A dedicated teacher, Katie taught cello at the University of Connecticut from 2010-2013 and maintained a private teaching studio in Stony Brook, NY for seven years. 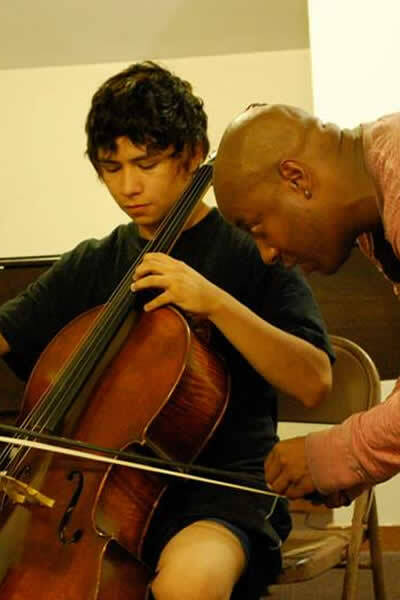 She also taught cello at the Hartt Music School, Bard Conservatory’s Preparatory music program, coached chamber music at New England Conservatory’s Extension Division, Stony Brook University’s pre-college program, at the Colorado Quartet’s intensive summer quartet institute, Soundfest and Charles Castleman’s Quartet Program. Ms Schlaikjer received her Doctoral and Master’s degrees from Stony Brook University and her Bachelor’s degree from the New England Conservatory where her teachers included Timothy Eddy and Laurence Lesser.